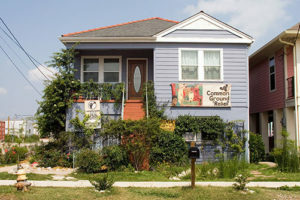 Common Ground Relief was established in September 2005 to provide disaster relief in the Greater New Orleans area following Hurricane Katrina. With its origins as a community-initiated, volunteer organization that offered assistance, mutual aid and support, this work gave hope to local communities by working with them, providing for their immediate needs and emphasizes people working together to rebuild their lives in sustainable ways. In these initial years, Common Ground Relief focused its efforts where it was needed most – providing housing, health, clothing, pro bono legal services, and other core needs to the residents of New Orleans. In late 2007, as the world-wide recession worsened and the rebuilding of houses commenced, Common Ground Relief partnered with a local general contractor to build affordable, energy efficient housing through the State of Louisiana’s Road Home program. Common Ground Relief ended the use of large numbers of volunteers in order to create employment and job training opportunities for residents displaced by hurricanes Katrina and Rita. A series of Section 3 Small Businesses were created to accomplish this goal. An elevated model house, with a stormwater filtration system using native plant material, was built at 1804 Deslonde Street in the Lower Ninth Ward. 1804 Deslonde Street now houses volunteers working on our wetlands restoration projects. In late 2008, the Anita Roddick Advocacy Center was created to provide community services and house volunteers at 1800 Deslonde Street in the Lower Ninth Ward. 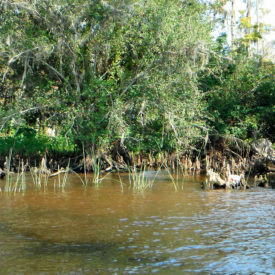 In 2013, Common Ground Relief’s leadership revised the mission statement to reflect a forward-looking focus – “to create resilient Gulf Coast communities that are environmentally sustainable, financially viable and personally cohesive.” While the mission and organization have evolved, Common Ground Relief remains committed to its grassroots, volunteer-based approach to community transformation and sustainability. 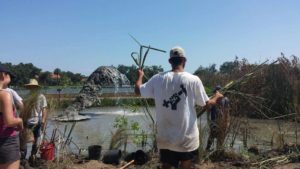 In 2015, Common Ground Relief leadership determined that the most effective way of achieving the organization’s mission was to focus squarely on restoring and preserving Louisiana’s disappearing coastal wetlands. * The Common Ground Health Clinic is now a 501c3 non profit operating in Algiers. The shelters are now operating as the New Orleans Women’s & Children’s Shelter and the Common Ground Legal Clinic is now affiliated with The Louisiana Civil Justice Center.